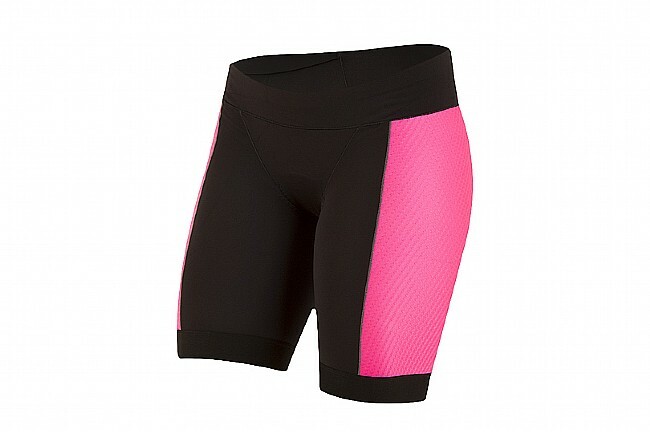 Pearl Izumi’s Women’s Elite Pursuit Tri Short is designed to provide the support you need to get a leg-up in your training and racing. ELITE Transfer In-R-Cool ® fabric and Coldblack® -- skin cooling and sun protection technologies -- help manage your body temperature and shield your skin from sun damage. 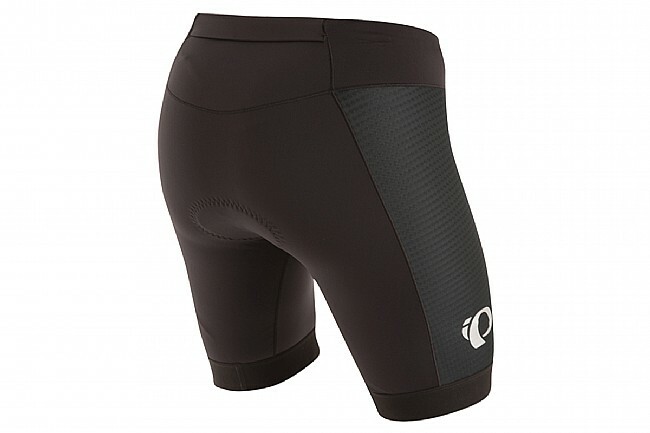 Soft elastic silicone leg grippers keep the shorts in place without strangling and irritating your thighs. 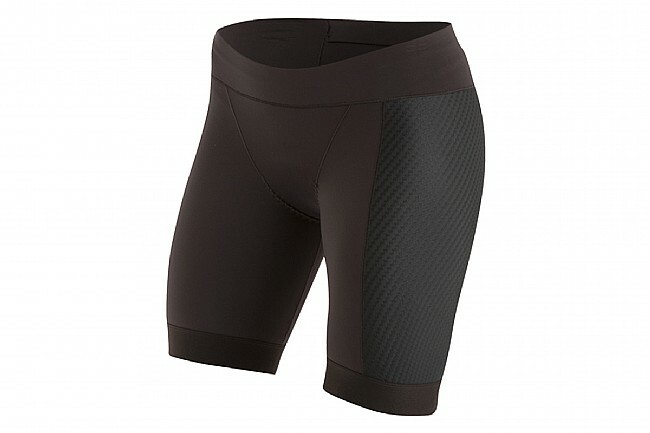 The wide waistband and stretch drawcord combined with Merrow stitch construction delivers superior, lasting comfort. To minimize odor and maintain dryness, the TRI chamois features quick-dry and antimicrobial properties. An envelope pocket on the back offers accessible and secure storage for small items like nutrition, cash, etc. Wide waistband & stretch drawcord. Coldblack® UPF 50+ sun protection. ELITE Transfer In-R-Cool® skin cooling fabric. Soft, elastic silicone leg grippers. Fabrics: Nylon, spandex, polyester, elastane.